The Organisation for Economic Cooperation and Development, OECD, is using the World Economic Forum to highlight the issue of stress in the workplace. The OECD says it is one of the key challenges – in the UK alone, nearly 500,000 people were off work for mental health reasons last year. OECD Secretary-General Angel Gurria told BBC World that white-collar workers were more prone to stress… ostensibly about the financial crisis and it’s implications for job security. (Though one could justifiably conclude that globalisation and general insecurity in a changing world will make it an ongoing issue). Happiness indexes – governments and international organisations, from the UK to China, from the UN to the OECD, have put in place studies to measure ‘happiness’. The old ways of measuring a countries ‘health’ by GDP (money alone) are outdated. It is now an accepted science that economic outcomes are inextricably linked to the well being of citizens. And the same model follows in the workplace. If you were to measure happiness in your organisation do you think you would be in the premier division? Your organisations well being is inextricably linked to the well being of your employees, and the culture and behaviours that their well being engenders. 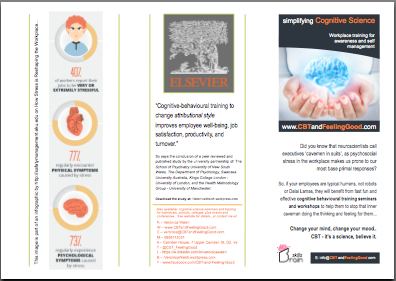 Cognitive Behavioural Training (CBT) is a very practical and effective ‘rational thinking skills’ psycho-educational model that is measured and proven to literally teach engaged learners ‘how to be happy‘ – helping people to change how they think and how they feel and how they behave – to a more positive and optimistic frame of mind – with immediate and ongoing effects and results. Our happiness and work are related. Emotions are part of being human and we don’t leave them at home when we go to work. 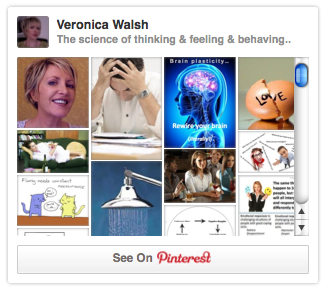 We will all experience a range of different positive and negative emotions over the course of very single working day. Science is showing us that positive emotions are important, not just for how happy we feel. They can actually increase our capacity to generate ideas, increase the ways available to us to take action, and help build intellectual and social resources. They can also have an undoing effect on the impact of negative emotions. Research shows that happier workers are more liked by their colleagues and co-workers, earn more money, are seen as performing better and as having more fresh ideas than their less happy colleagues. They stay with their employers for longer, are more likely to contribute beyond the requirements of their job and help out colleagues, have fewer sick days and are more punctual. And happy employees also help to make organisations more successful. And it doesn’t stop there. Our psychological well-being can impact on our physical health, which again can impact our ability to perform at work. And our happiness spreads to others – within work, at home and in our communities. 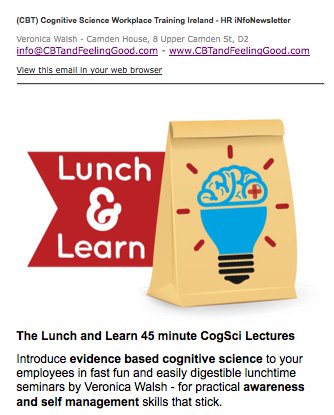 … So, given these benefits, positive emotions at work can facilitate both individual and organizational growth. 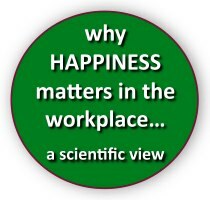 And if work can satisfy our psychological needs and other factors which are essential to our happiness as well as provide us with an income, and happier workers have many advantages over those who are less happy, it seems that increasing happiness in the workplace can pay for everyone – employees, leaders, trustees or shareholders alike. And in more than just financial ways. 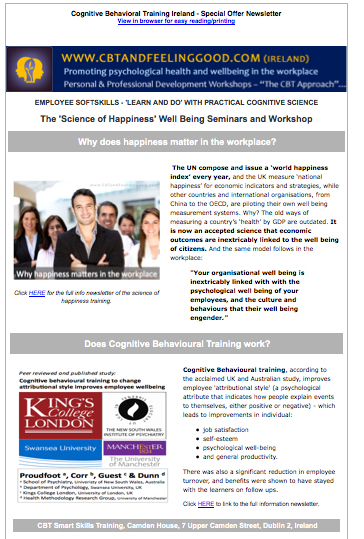 Click here to browse newsletters of training solutions to address happiness in your workplace…..